A plethora of Battlefield 4 news have been flooding from the devs at Dice on their Twitter and Reddit accounts. 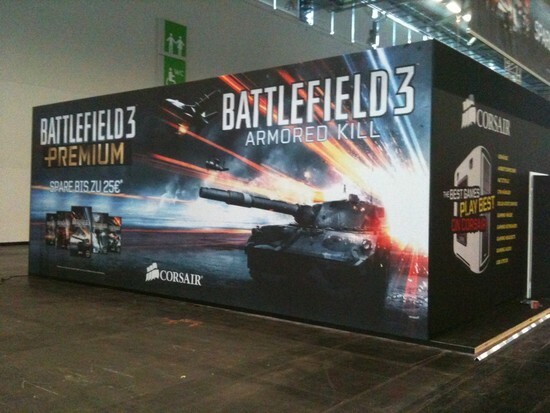 They have released several new gameplay trailers detailing weapons and vehicles for multiplayer as well as announcing their appearance at Gamescom 2013 on August 21st. Considering that this event will not be open to the public, there has been speculation from fans on just what Dice will be revealing at the conference. Among the requests they hope Dice will answer is the inclusion of a new game mode known as Elimination, dynamic weather effects, balances, and improved flight mechanics. Some of the trailers showcase exclusive footage for such weapons as the QBZ-95-1 assault rifle, Scorpion EVO carbine and the M9 sidearm. There is also a small clip at the end of one of the videos showing an MRAP. While still in a beta build, we can clearly see how hard Dice devs have been working at improving particle effects, visual detail and overall ambience in these videos. Athough they are only a minute or two long, it’s easy to get immersed in it. One trailer is particularly noted, as it shows something previously not seen before. Knifing animations have been confirmed to be more diverse and in the trailer, the soldier takes his enemy’s ammunition as well as his dog tags. The ability to replenish your ammunition without having to scream for a Support class to drop ammo boxes is certainly a welcome boon. It’s a very nice touch by Dice and adds further realism to the game. The last trailer is a classic BF-style confrontation where a Recon works in tandem with a Soldier and several Engineers to take down not one but two tanks. Dice has posted on their Twitter that those who pre-order Battlefield 4 will receive the “China Rising” map, three gold “Battle Packs” that contain XP boosts, camos, dog tags, knives, etc and access to the beta. The beta is to be live this Fall.